The content of the guides has been checked and approved by medical experts in the field of HPV and throat cancer. It draws on their expertise, that of the Throat Cancer Foundation, and other research and best practice. 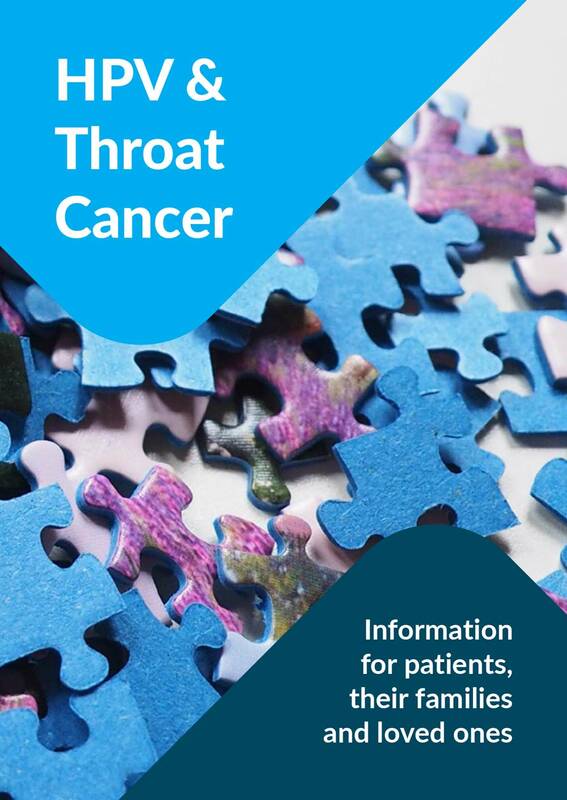 Printed versions of both guides have been delivered to relevant hospitals and medical centres so that they are available for patients at the time of diagnosis, and you can download PDF versions the patient guide below. If you are a medical professional and would like to request printed versions of these guides for distribution please contact us. This version of the guide can be viewed on your device and has hyperlinks allowing you to go directly to a relevant page and back to the contents page. This version of the guide has been set on four A4 pages so it is easier to print out for reading. HPV is generally passed from person to person via sexual contact. The virus is extremely contagious and is the most common STI in the world.